The ISBCC was honored to be invited to Congresswoman Pressley’s Historic Swearing-In Ceremony. 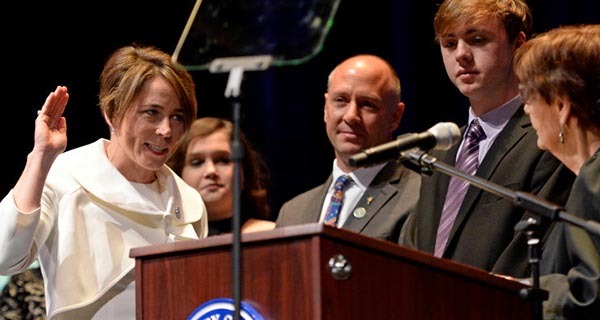 Congresswoman Pressley is the first African-American woman to be elected to Congress from MA. Shaykh Yasir invoked Prophet Musa’s (Peace be upon him) dua as a blessing for the Congresswoman as she embarks on taking on the Pharaohs of our time. For the third straight year, Shaykh Yasir was invited to offer prayer at the Mayor’s State of the City. Listen to his prayer on caretakership – a message we must all take to heart. ISBCC was specially invited to be present at our Attorney General’s Swearing-In Ceremony. Br. 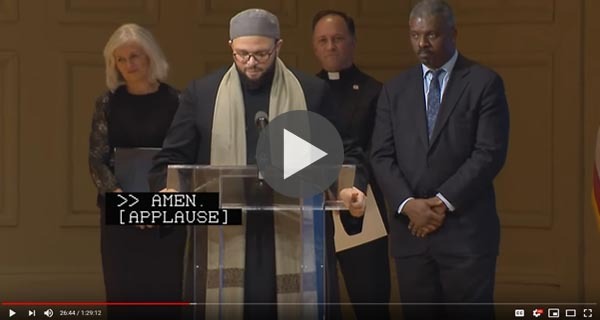 Yusufi Vali represented our community among many faith and civic leaders. Last year the Governor appointed 17 members to his Hate Crimes Task Force. Br. Yusufi Vali was one of these appointees. 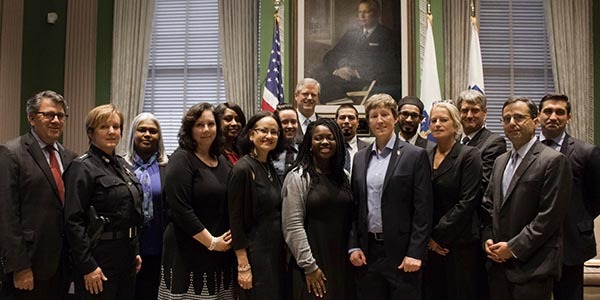 The Task Force recently recommended Governor Baker to urge law enforcement agencies to take four key steps to protect against hate in the state. You can read about the four recommendations here. To be part of the ISBCC Civic Engagement Team email Yusufi Vali at yusufi@isbcc.org.